The European Union (EU) is at the crossroads. While populist movements and parties are questioning its value European Leaders struggle with embracing a positive common vision of the EU’s future that resonates with its citizens. Can the 2030 Agenda for Sustainable Development with its 17 goals (SDGs) adopted in 2015 by all 193 UN Member States provide a roadmap also for the future of the EU? The 2030 Agenda and its SDGs set quantitative targets for 2030 covering economic development, social inclusion, and environmental sustainability. The European Union and its member states have committed to these Goals but have not taken bold actions needed for their achievement, like the alignment of both their strategies and budgets with the SDGs. Some of Europe's most pressing socio-economic priorities and challenges including rising inequalities, youth unemployment, and climate change are covered under the Goals, making it imperative for the EU to commit and invest seriously into their achievement, while at the same time leading the global movement towards the 2030 Agenda. The upcoming elections to the European Parliament in 2019, the next Multiannual Financial Framework (MFF) covering the decisive years 2021-2027, and the formation of the next EU Commission are the EU’s last opportunity to lay the ground for a sustainable future in Europe. 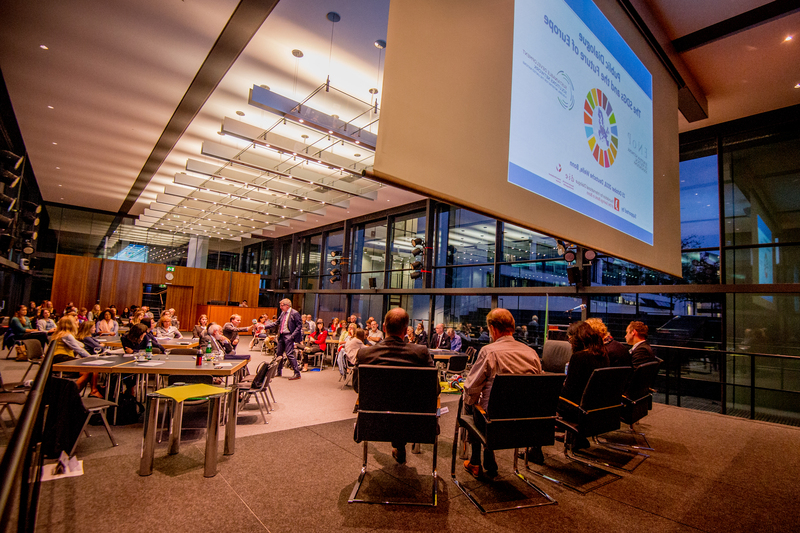 This event was hosted by SDSN Germany and Deutsche Welle and supported by the German Development Institute / Deutsches Institut für Entwicklungspolitik (DIE) and the Foundation for International Dialogue of the Savings Bank in Bonn.